A few months ago a reader wrote to me to say that I mentioned sugar in one of my novels and she wondered how they had extracted sugar from sugar beet in the 12th century. I wrote back explaining that sugar at the time came from sugar cane, not beet, which wasn't processed as a source of sugar until the late 18th century. Just recently I read a novel set in the 14th century which explained how much of a treat sugar was back then, and I decided that perhaps a few notes on the Medieval sugar industry and how medieval people treated the commodity might prove interesting to readers. Unlike honey, the powerful sweetness of sugar from sugar cane was not available to everyone. It began as a product grown and produced in India and gradually spread to the Middle East and the Mediterranean. By the 10th century, Egypt was a major producer and exporter of sugar and by the 12th it was grown wherever practical in all Muslim lands bordering the Mediterranean. More distant areas such as Morocco and Andalusia were under cultivation too. There is also strong archaeological evidence for Christian sugar production in the Jordan Valley in the crusader period. Cyprus too became a major producer, and Crete, dominated by the Venetians and Genoans. It was in Cyprus that the water driven sugar crushing mill was invented, thus making sugar a more readily available commodity on the European market. The Venetian Cornaro family owned extensive sugar plantations on the south of the Island around Espiscopi and a sugar processing complex. Sugar syrup was obtained from crushed cane, clarified, solidified into conical loaf shapes and sold throughout Europe. In the 14th century Italian Merchant Franceso Pegolotti listed fourteen different types of sugar readily available to the consumer. These included rock candy, sugar scented with roses or violets, sugar from Damascus, Bablyon and the Genoese port of Caffa in the Crimea. Pegolotti lists sugar with descriptions of spices, and indeed it was classified as a spice in the medieval period. There was a large European market keen to buy sugar for artistic and medicinal purposes. It was ideal for creating confectionery sculptures as statements pieces at grand banquets and was being used on a large scale in France by the reign of Philip IV (1285-1314). Even earlier in England in the 12th century, it is listed on the Pipe roll accounts for the reign of Henry II. However, even as time and technology progressed and the Cypriot crushing mills brought down the price of sugar, it was still a luxury item.In the 15th century, honey imported into England cost £2.10 shillings per ton. The same weight of sugar cost £40.00 per ton. At this sort of price, a single bag in the consumer's hands was worth a skilled man's wage for a day. As mentioned above, sugar was viewed in the Medieval period as a medicinal item. That it tasted good and could be turned into various forms such as syrups and pills was a great advantage and it also helped to counteract the bitterness of some of the medicines in which it was an ingredient. It wasn't until the 18th century that sugar ceased to be considered as a drug and a spice and became a basic staple of daily life. An important medicinal use of sugar was to balance the humours. 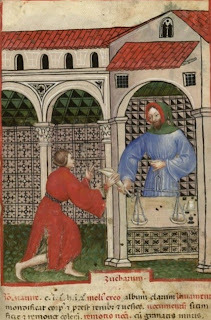 The medieval mindset on bodily health was based on humoural theory - the belief that all existing things were composed of a combination of two pairs of elements - warm and cold on the one hand and dry and wet on the other. These elements were then acted upon by the temperamental agents of blood, choler, phlegm and melancholy. The sanguine temperament (blood) combined warmth and moistness. The choleric temperament was warm and dry, the phlegmatic cold and moist, and the melancholic was cold and dry. Foodstuffs too had their element, and the way they should be prepared had specific and logical rules. So, fish that were cold and moist, were generally fried at least as a first step in their preparation, because frying was hot and dry. Wine was seen as a hot, dry substance in terms of its humour, so was an ideal medium in which cold, moist pears might be cooked. Again, the same with fish. Lampreys, seen as being particularly cold and moist were often killed in red wine and then cooked in it. Henry I dying of a surfeit of lampreys has more going on in that statement than first appears. Any medieval person would immediately recognise the danger signs. You took your life in your hands when you ate lampreys unless they were correctly balanced by other products and suited one's humour! On the humour table, sugar was warm in the first degree and moist in the second and seen as being one of the best foodstuffs for the human condition. It gave sugar a starring role on the pharmacist's shelf and by the 14th century was so prevalent in dishes for the unwell or the recuperating as opposed to those who were healthy, that historians can immediately tell the intention of the dish when studying recipes of the period. Of course, if it was good for the sick, then it was probably beneficial to the healthy too, and following on from this, everyone else who could afford it embraced sugar into the diet. What was not to like? The Tacuina sanitatis, an 11th century medical treatise has this to say on sugar. Since Medieval food was all about balance and harmony, sugar was often combined with vinegar, the properties of which on the humour table made it the perfect partner for sugar and a distinct 'sweet and sharp' cuisine became very popular. Fish, chicken, rabbit, all received this treatment, sometimes with the sweetness coming from dried fruit. All very delicious, (I've tried rabbit and salmon versions and they are wonderful) and all very good for you by the lights of humoural theory. Sugar and spices were blended together as an end of meal digestif, aiding the closing of the stomach after it had been opened with an 'aperitif' to light up the furnace of the stomach and get it working. The main courses would then be consumed by the fire in the stomach cauldron, and the digestif would settle everything afterwards and close it all down safely. Cinnamon or rose water were blended with melted sugar to make sweets and partaken of at the end of a meal. Candied ginger too and cardamom. We still have the tradition when we we eat After Eight mints, truffles, petits fours, and the like following formal meals, but mostly without remembering the original reason. 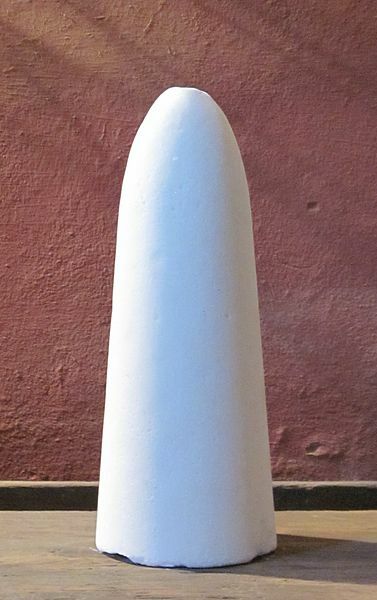 In the large Italian cities such as Milan, the equivalent of sweet shops existed by the end of the 14th century and 'Candi' (from Arabic 'Kand') could be bought by weight in small amounts, made from imported cane sugar melted and crystalised and sold in paper cones - see the illustration opposite (that brings back memories of my own childhood and the way sweets were bought in the local shop!). These days our love for sugar has run wild and some would say out of control. In the Middle Ages, sugar was a drug, and I guess we're all addicts! Elizabeth Chadwick's latest novel The Summer Queen came out in June 2013. Fascinating piece - I shall endeavour to balance my humours in future. Having recently discovered how great candied ginger is in helping with indigestion, I'm pleased to now discover how historical I'm being! Thank you! Thanks for a very useful and interesting post! How sweet. This really is very interesting. Candies really have evolved from simple sweets to delectable treats that we have today. I'm confused. I know that studies of early skeletons in England show skulls with many intact teeth. After 1500 when the Age of Exploration began, skeletons showed the effect of sugar in the diet--missing teeth and many cavities. So when did sugar show up in England to the extent that dental problems became rampant? Hi. I'm a medieval archaeologist specializing in the sugar industry. Dental caries related to sugar intake started to spike in Europe around the 13th-c. 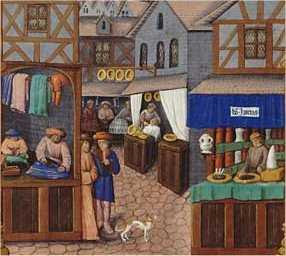 In England specifically, consumption became commonplace among the wealthy by around 1650. For the poor it came slowly, but by the 18th-c., it was a necessity in the diet of most English people.